The desperation of the Minnesota Vikings forced an unbelievably rare move that was a no-brainer when you consider all that’s at stake. Having lost their starting quarterback Teddy Bridgewater to a horrendous knee injury this week, the team sent a 2017 first and a 2018 fourth round pick to the Eagles for Sam Bradford, who was on borrowed time in Philadelphia. The revealing nature of this deal should be an eye opener to us all. By now we’ve heard just how devastating Bridgewater’s injury was. Reports state he narrowly escaped amputation due to “arterial strangulation”, but was saved due to the quick response of the Vikings medical staff. Ultimately, he came away with a complete tear of his ACL, and dislocated knee cap. Reading between the lines, the Vikings willingness to surrender a first round pick signals serious doubts about whether they believe Bridgewater can return in time for next season. There could even be a fear he may not ever be the same player, forcing the team to pull the trigger on a type of trade we rarely ever see in this league, to acquire a starting caliber player. With the Vikes opening a brand new stadium this season, their Hall of Fame running back playing what could be his final year in “Purple & Gold” and a defense primed to make a run at the NFC Title, it would have been difficult for the team to sit on it’s hands, and let the loss of Bridgewater void what could be a very successful 2016 campaign. Eagles General Manager, Howie Roseman, ever the opportunist, struck a deal with Vikings GM Rick Spielman this morning, and the fortunes of both teams have taken a dramatic turn on a day we thought would be dominated by news of teams cutting down to their final 53 man rosters. 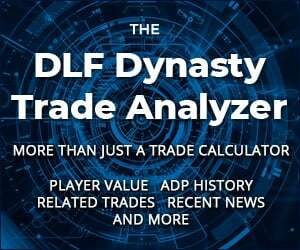 Let’s explain how the key Dynasty option on both teams will be affected. 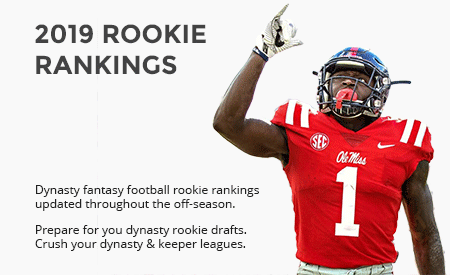 Jerick McKinnon is a 3rd year player, cmon man! Thanks Scotty. That changes the complexion of the whole story. I’m more surprised by the lack of simple research, not so much the poor writing. Again, thanks Scotty. I will step my game up…. Several hundred words in about an hour on a timely subject isn’t too shabby really. But I’m sure you’ve posted numerous articles regarding fantasy football right Scott? So you’ve got an appropriate pulpit from which to criticize. Plus, you’ve brought so much insight to the conversation, so congratulations on that feat. I hadn’t heard that amputation was a possibility, so that was new to me. I am not surprised that the Vikes signed an experienced QB though, as to do otherwise would be to waste the very solid defense they’ve assembled as well as AP’s twilight years. Might as well be bold and go for it! I thought the article was pretty good actually. 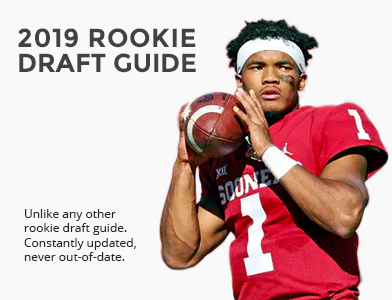 Much better than the draft re-caps we’ve seen released in August. Those just don’t make any sense past May/June. Thanks Mo. All of us make mistakes/typos every now and then, and that’s especially the case with a breaking news item. We strive for perfection, and we appreciate your keen eye, Scott. And, Mo, thanks for the very quick turnaround and in-depth analysis on this. I enjoyed reading it. Much appreciated Rainworm. The amputation angle blew my mind, but I’ve heard since there have been players who suffered similar arterial issues in recent years, fortunately none requiring amputation to my knowledge. Superb & timely piece Mo, always amazed that you guys put out so much quality so fast. Dude was traded this morning. My 1st thought hearing the news was the Vikes may not believe that Teddy will be back. Clearly there’s an opportunity for Bradford here. If he can play like he should be capable of, he might of just found that long term home he’s been whining about finding. To me, Kyle Rudolph’s value goes up the most. He was already primed for a bigger year, but with that WR corps, I’m betting chemistry develops 1st with him. Also betting that Diggs ultimately comes around and meshes well too. Who knows though. That’s the beauty of it all! I appreciate it Johnny. 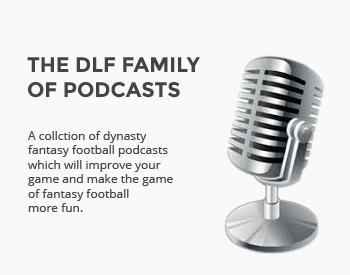 There’s a lot of talent of the DLF staff. When a story like this breaks you typically have a scrum for the rights to write it. Being an Eagles guy, I was all over this one.